You may be recruiting the right people – but are they staying? In any new relationship – first impressions count! This also applies to the relationship between employees and their organisations. 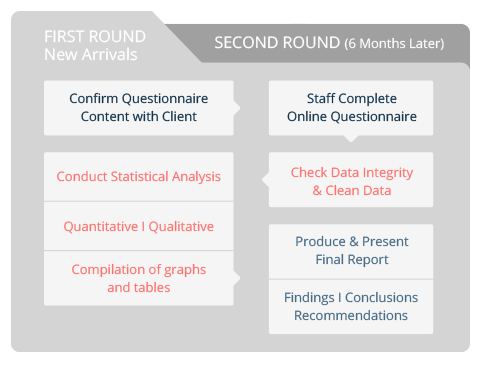 DMSA’s Onboarding Survey enables new employees to assess their initial organisational experiences in the first week and after the first six months. We work with you to build an onboarding questionnaire designed to suit your organisation and to give you actionable output. The output? The results are presented graphically using the DMSA Survey Presentation System© and in a Final Report. This includes recommendations for addressing issues / challenges that have been identified. We report on both a national and regional level. The value for your organisation is that you get an early warning of possible employee dissatisfaction and potential turnover, while there is still time to do something about it.